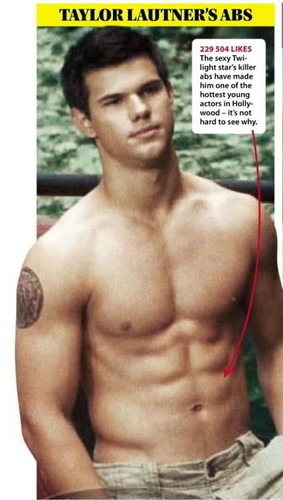 killer abs. . Wallpaper and background images in the 雅各布·布莱克 club tagged: jacob black eclipse movie magazine scan. This 雅各布·布莱克 photo contains 6折, abs, ab裂纹, 平坦的腹部, 六包, ab裂缝, 平坦的胃, ab 裂纹, 猛男, hunk, and 大块. There might also be 皮肤, 肤色, 裸色, 偏下体, 暗示裸体, skintone, 部分裸体, 隐含的裸露, 部分下体, 隐含的裸体, 动漫, 漫画书, 漫画, 卡通, and 漫画卡通. i could grate cheese on those abs!!!!!!!!!!! !